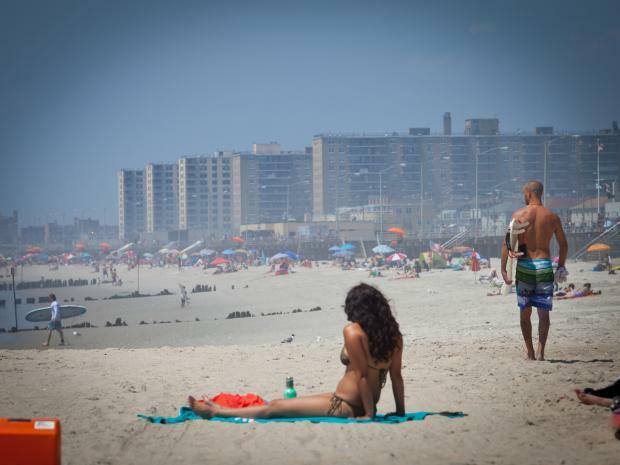 QUEENS — The beach isn't the hottest thing in the Rockaways this summer. Real estate prices in the seaside neighborhoods are soaring, according to a new real estate report, with the median home sale price up sharply compared to last year — a trend reflected throughout much of the borough. Sales prices in the Rockways, which includes Howard Beach and Broad Channel, are up 13 percent compared to 2011, according to the Elliman report, compiled by Miller Samuel Real Estate Appraisers. It shows the median price of homes — co-ops, condos or 1-3 family houses — throughout Queens. According to the survey, the median sale price of a home in the Rockaways was $386,994 during the second quarter of 2012, up from $342,500 during the same period last year, based on the sale of 87 units. Jonanthan Miller, president of Miller Samuel, was at a loss to account for the trend. "Rockaway has been a bit surprising," Miller said. "I don't really have an explanation. There's no odd shift happening. There's no sales skewing the market." Prices in the area are actually down by almost 3 percent compared to the first quarter this year, but according to Miller, a number of sales that would normally be made during the second quarter were pushed up because of the warm weather. Prices in northwest Queens, which includes Astoria, Long Island City, Woodside and Sunnyside, increased by 9.4 percent during the same period. The area has performed even stronger within the past three months with prices up 15 percent compared to the first quarter of 2012. Other parts of the borough saw increases as well, with prices jumping by 8.6 percent in northeast Queens. which includes Bayside, Beechhurst, College Point, Douglaston, Flushing, Little Neck, Oakland Gardens, Whitestone. And in other parts of Queens, like Bellerose, Briarwood, Floral Park, Forest Hills, Rego Park and Kew Gardens Hills, prices jumped by 7.1 percent. "Queens has been lagging behind Manhattan and Brooklyn since the credit crunch started three years ago," Miller said. "This is one of the first quarters where the borough has posted very firm results. "It's a first step," he added, "but it's encouraging." Prices are off for Central Queens, however, where the median price was down 2.5 percent in the second quarter to $307,000, compared to the same period last year. "There's an ebb and a flow," Miller said. "It's not that it performed poorly. It was just weaker than the other regions."